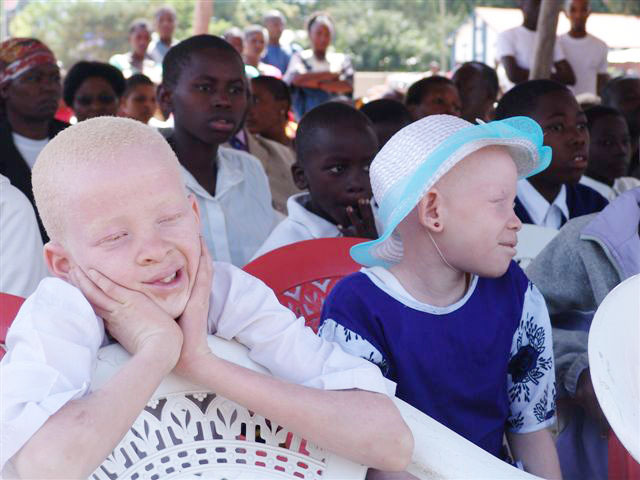 Justice for these innocent victims of brutal attacks arising from superstition and extreme poverty has not come to Tanzania. Only decisive action on the part of the Tanzanian Government and an enlightened society will stem this tide of brutality and bloodshed. IMMEDIATE ACTION needs to be taken to protect the youngest and most vulnerable victims from their attackers, sometimes even from within their own families. 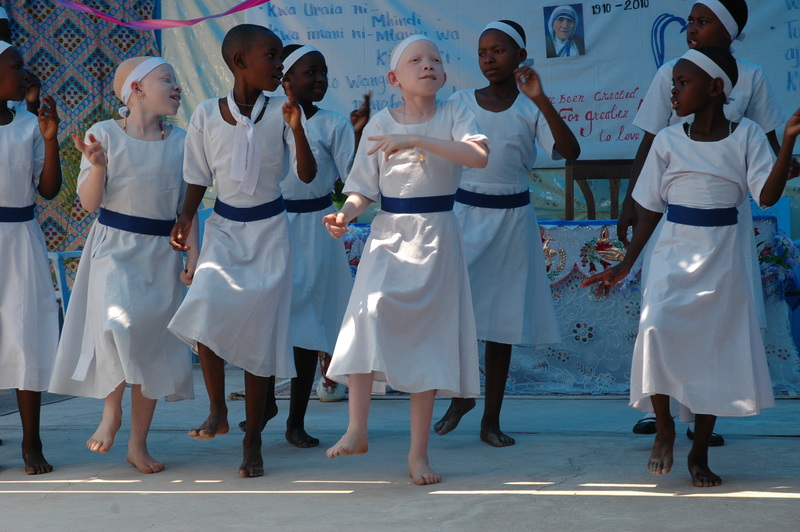 UNIVERSAL INITIATIVE FOUNDATION proposes to build a self-sustaining, highly secured sanctuary for 600 children and young adults with albinism and other African children orphaned by AIDS or abandoned and neglected through poverty. Four acres of land have been donated by the Catholic Archdiocese of Tabora, parish of Cheyo, for Phase 1 of this urgently needed facility. The schools and residential complex are divided into different areas (the Flowers) providing spaces for various activities and allowing immediate identification by their shapes and colors. 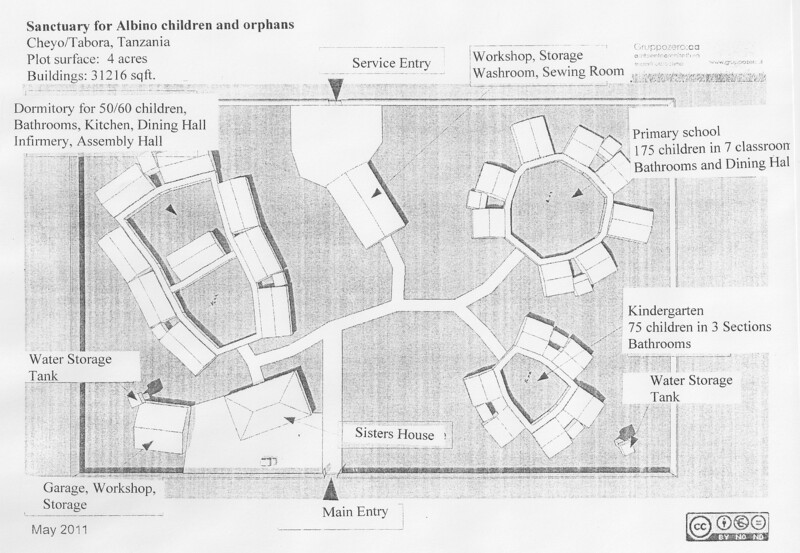 The Dormitory, initially for 50 to 60 children, with large rooms where everyone can find their own space, modern sanitation, well equipped kitchen and dining hall, multi-purpose rooms for recreational activities, open and covered outdoor spaces for games and socializing is designed in modules to allow for expansion. The Kindergarten will accommodate up to 75 preschool children in three classrooms, crib rooms for rest periods and bathrooms for 25 children each. These modules can be extended when needed. 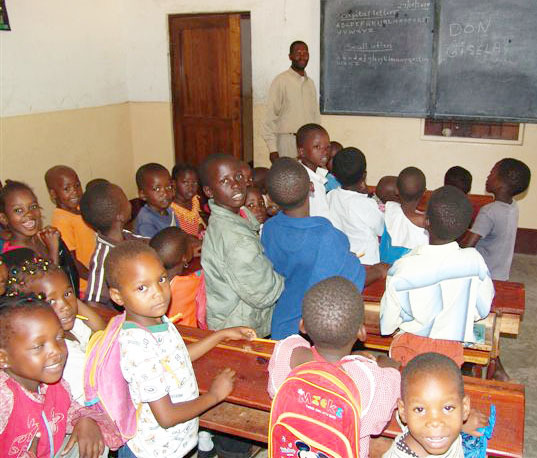 The Primary School consists of three blocks of two classrooms for 25 children each, with bathrooms, kitchen and dining hall, open and covered recreational areas. Modules are designed to allow additions to accommodate more children as needed. The Infirmary, Service Buildings, Laundry and Sewing Room, Workshop and Garage are part of the self-sustaining design of the Sanctuary. 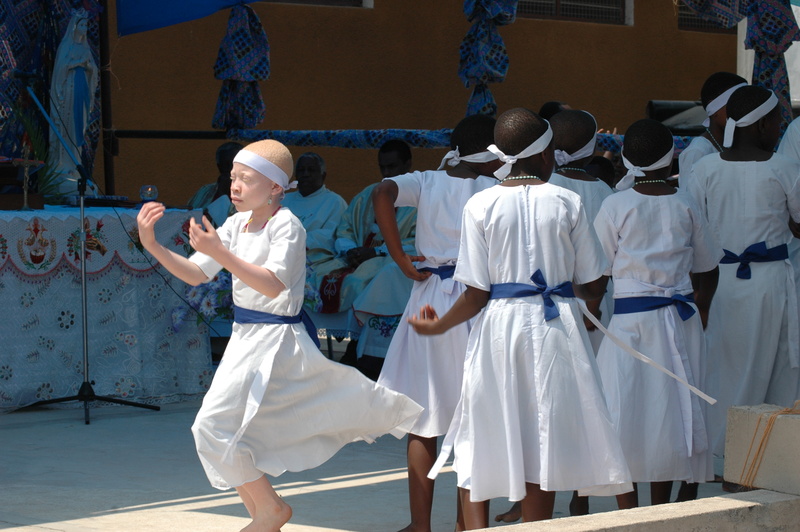 The Secondary School is projected in Phase 2 of the Sanctuary, allowing continued, high quality education, nurture and safety for the albino young adults on the premises. The buildings are simple to build and easy to maintain, concrete and tiled floors, brick walls, sheet metal roofs over wood beams, wood doors and windows. Furniture for classrooms, dining hall and dormitory will be sturdy and of good quality. Each bed will be equipped with mosquito netting. Stoves, counters and equipment for kitchens will be modern, functional and easy to keep clean, bathroom fixtures will be of the highest quality to guarantee longevity. The energy needs for the complex will be met by installing solar panels and micro wind turbines to ensure steady supplies independent from the often sporadic grid. The supply of fresh water has to be guaranteed through deep water wells with solar powered pumps and large capacity storage tanks to capture rain water from roofs. Adequate sewers and waste treatment, allowing for later expansion of the facility have to be installed, before construction begins. Catholic Sisters and trusted lay employees will be responsible for the well-being, security and education of these children and young adults around the clock. 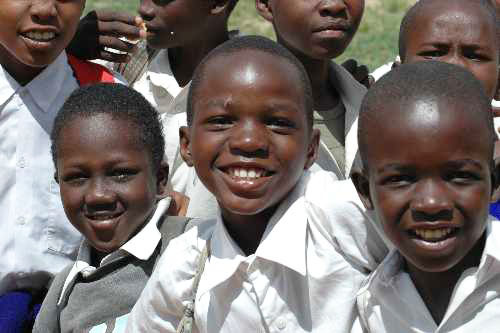 Our goal is to see them happy, nurtured, well educated and secure. Additional land for farming, gardening and animals for meat and dairy is available adjacent to the Sanctuary. This will guarantee the lowest cost and best nutritional value to feed the children and staff. INITIAL FUNDING OF $50,000USD is needed now for architectural design and engineering studies. is needed for water and energy installations, building of secure walls and gates, housing for staff, dormitories, kitchen and dining facilities, recreational facilities, classrooms and dispensary for 100 inhabitants. is needed to expand the facility to its full capacity of 600 children and young adults and to establish an endowment for current and long-term expenses. Higher educational facilities will be built to enable students to excel in a secure environment and prepare them for entry into universities. Scholarships and other financial support systems have to be established. and funded. 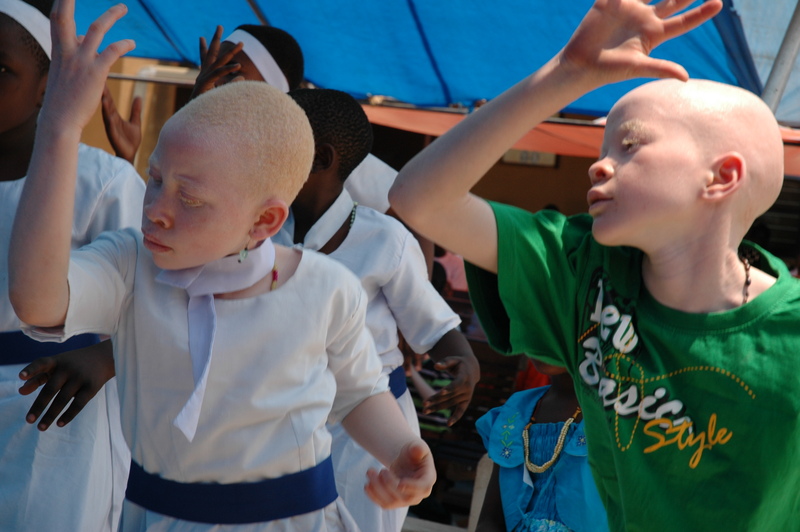 Universal Initiative Foundation is a non-denominational, non-profit 501(c)(3). Your donations are tax exempt as defined by law. YOUR DONATION WILL BE RECOGNIZED BY A DISTINCTIVE PLAQUE WITH YOUR NAME OR ENTITY, FOREVER PLACED ON THE SANCTUARY’S WALL OF HONOR.